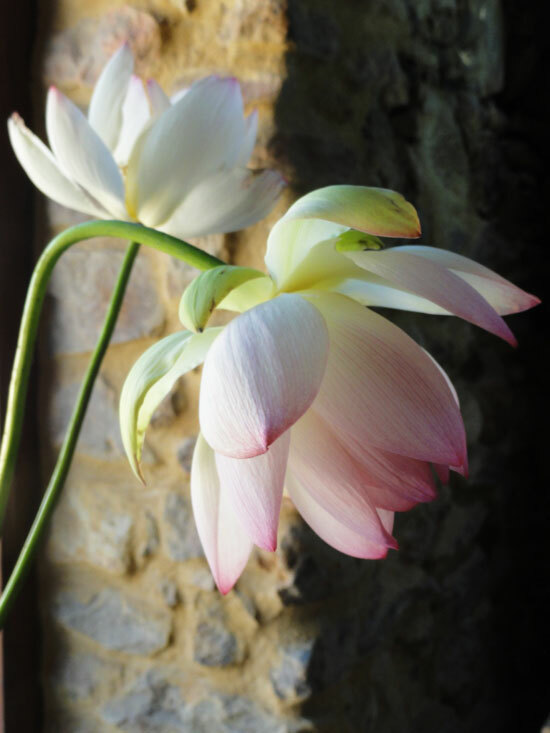 The beautiful lotus lily is an ancient flower, imbued with mystique. 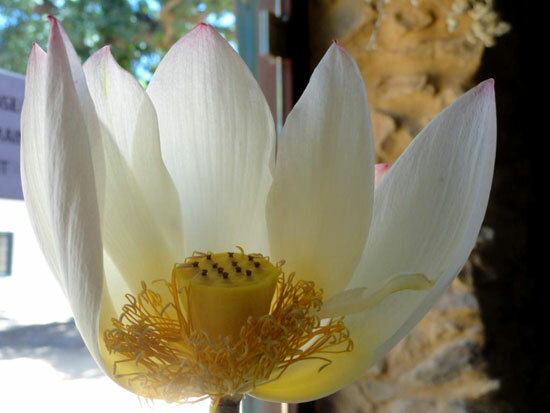 Despite this, the lotus is as much at home in the kitchen as it is in the myths of yore. 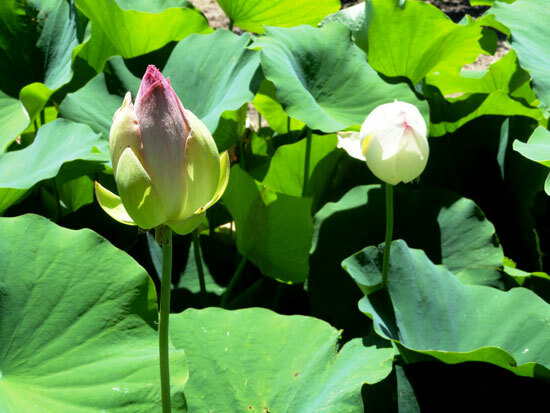 Some ancient cultures used the starchy rhizome of the lotus as a staple food, and the young leaves can be cooked as vegetable. 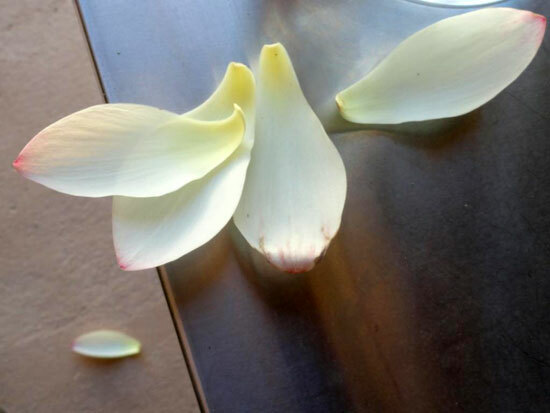 In Japan you may be served a delicate meal of fragrant lotus petals, or be invited to a sunrise picnic to listen to the lotus lily opening. 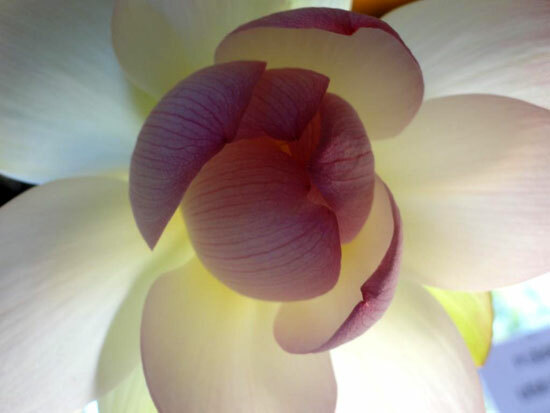 Lotus flowers start opening mid-December, closing at night, and two days after opening, after cross-pollination has taken place, they drop their petals to the ground. The beautiful yellow seedhead is left, and when these dry, they rattle gently in the wind.